Here it is: our first pomegranate harvest. We thought it might be helpful for you having some ideas about how to prepare and eat them. 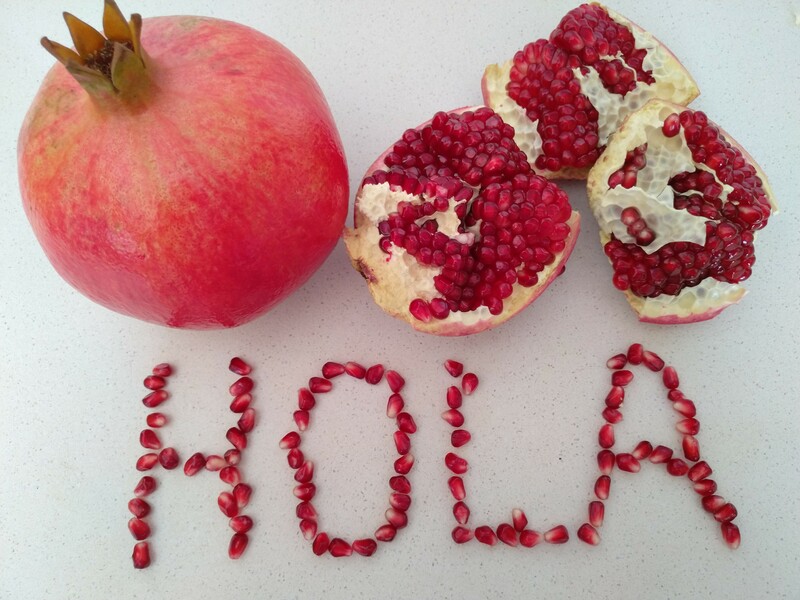 The pomegranates we cultivate are of the variety Wonderful. During the first days after the harvest, they still have an acidic taste. After a few days, however, they become sweeter. The fruits have an intense red colour and seeds firm to the bite with and acidic touch when biting them. Pomegranate juice: This is what nearly my entire family likes most. Those who do not want it to be acid, mix it with water or other juices. There exist many different ways of exctracting the juice. A manual fruit press works perfectly fine for pomegranates as well. It is easy to use and has a favourable price. A mixer requires removing the seeds first, but apart from that it is very easy. In case you do not want to complicate your life with another kitchen utensil, however, you can just use a normal citrus juicer. Be careful when pressing the frutis down as the seeds might jump through your kitchen and escape. Dishes: If you would like to eat the seeds, you can remove them by hitting the fruits with a wooden spoon after opening them. Afterwards there are many different ways of enjoying them. The seeds are a very versatile and I have already seen, used and eaten them in a lot of different dishes (cold, hot, sweet and salty): Salads, sauces, stews and dessert. Use the entire pomegranate! 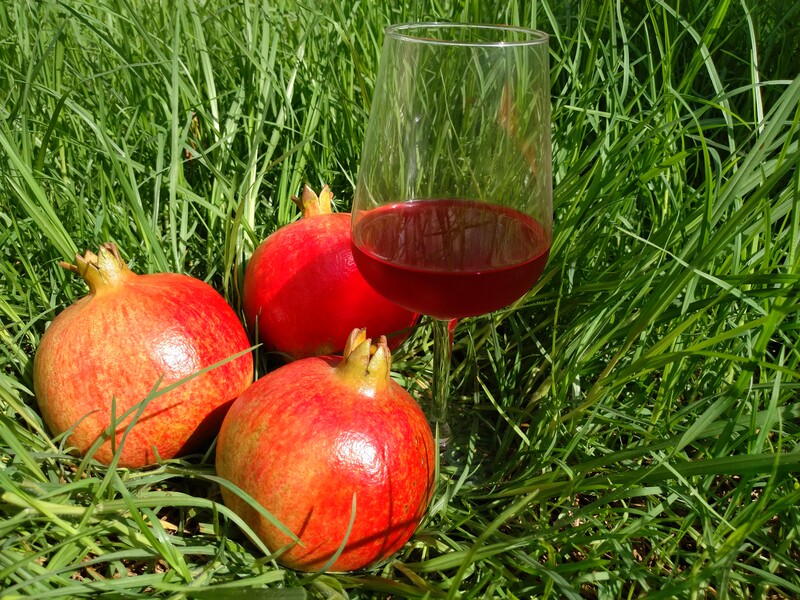 Our pomegranates were not treated with any pesticides or preservatives. Hence, their skin is residue-free. You can use them to prepare tea or dry and shred the skin to conserve it in a closed and dark jar. Afterwards you can mix it with juice, yogurt or other food....we are sure that you can give us some new ideas. Thank you for your trust! Happy harvest on behalf of my whole family!